Now that the weather on the East coast has settled nicely into spring, we’ve been venturing out more. Some of our trips have included long car rides to see family in other states. My boys like long car rides because they know they can watch DVDs on the way to wherever we’re headed (and I like that the DVD player keeps them from asking “are we there yet?” every five minutes!). On our latest trip we were fortunate to have some new DVD titles from NCircle Entertainment to take along with us. * Sid the Science Kid: What is a Rainbow? – we’ve been watching the Sid the Science Kid series for quite a while. My boys love the adventures Sid goes on to discover and learn new things. I love the pace of the show and the educational aspect of it. 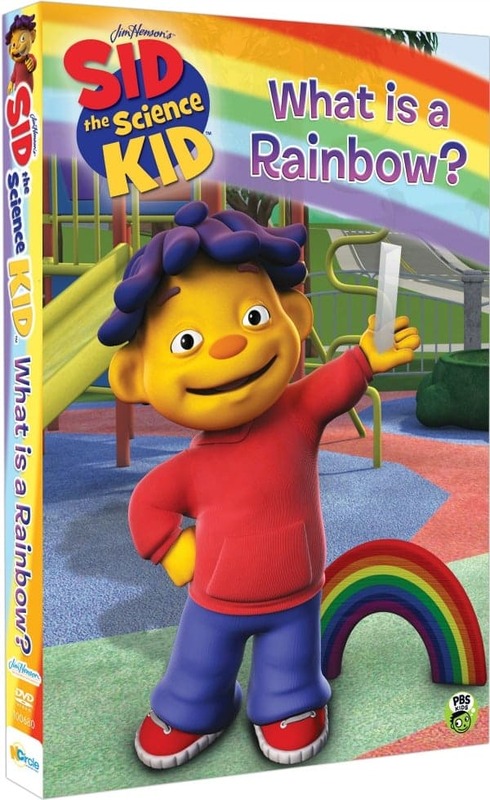 This DVD has four episodes of Sid the Science Kid where kids learn about where light comes from, how rainbows are created, how shadows are made, and what causes darkness. This DVD runs 115 minutes and is sure to delight any Sid fan in your life. It currently sells for $9.99 on the NCircle site. * The Cat in the Hat Knows a Lot About That! 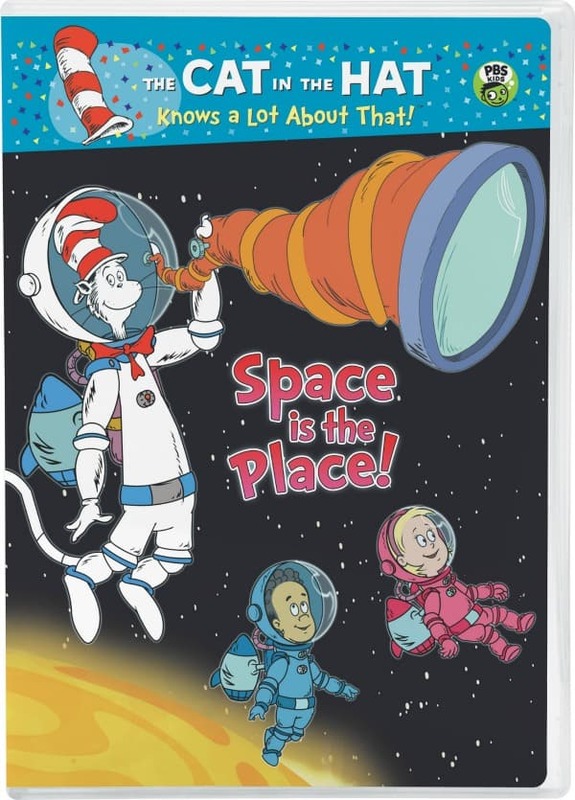 : Space is the Place – this DVD has five fun episodes of The Cat in the Hat that focus on space and the planets and teaches kids about gravity, day and night, the order of the planets, and more. My boys get a kick out of the rhyming, and they love that there’s a little sense of mischief with The Cat! I love Martin Short as the voice of The Cat – and I like that my boys love this classic character. This DVD runs 60 minutes and also sells for $9.99 on the NCircle site. 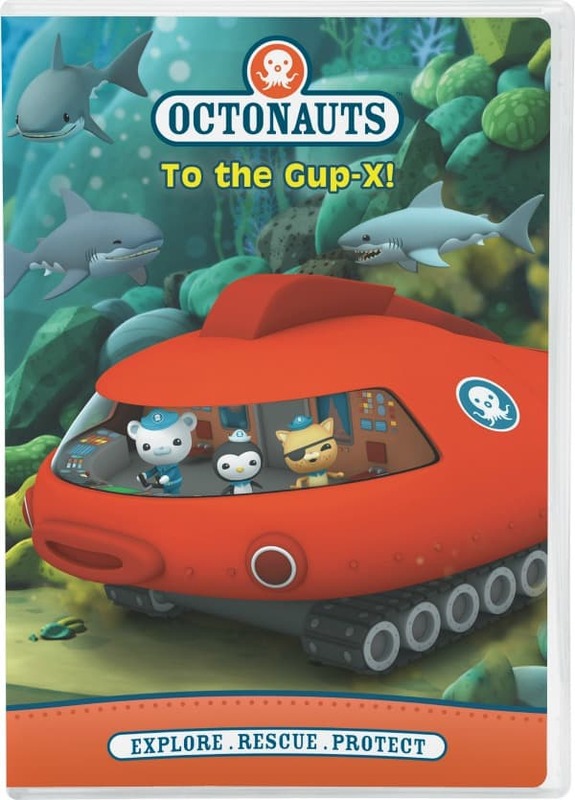 * Octonauts: To the Gup-X! – we’ve been fans of the Octonauts for years. I find myself belting out “Creature report, creature report!” a lot! This DVD has six episodes that feature the Octonauts with sea creatures such as the great white shark, coconut crabs, flying fish, and more. The Octonauts make learning fun, and my boys have learned a lot over the years from the Octonauts about sea creatures and their habitats. This DVD also has two bonus features where kids can learn more about marine life in six creature reports, and get a close up of the Gup-X! This DVD runs 70 minutes and currently sells for $11.99. NCircle Entertainment specializes in the sales, marketing, and distribution of quality children and family entertainment. They offer DVDs that engage children with entertainment while teaching reading readiness, science concepts, problem solving, social skills, and environmental awareness. They truly offer entertainment that educates! You can see the full line of DVDs NCircle has to offer on their website. I would love to win!! My granddaughter, Brittlyn, loves all if these!!! We love all three shows- all 3 boys and my 4 year old girl would love to see something new! Yay! My granddaughter would love these! Thanks for the chance.